The Committee was briefed by the South African National Boxing Organisation (SANABO) on development programmes, governance, annual report and financial statements. SANABO told the Committee that the previous EXCO had been in office for more than the four years which the new constitution of SANABO required. In 2012 SANABO had its first election as many of its provincial, district and municipal affiliates had shown dissatisfaction with the previous operations of SANABO. Following the results of that election certain members within SANABO which were not satisfied with the results which had made working so impossible that SANABO had been suspended for approximately eight months by AIBA. That had resulted in SANABO only participating in the zonal championships in 2013. On transformation, SANABOs opening boxing strategy related to local, provincial and national government strategies and policies. SANABOs four year strategy was aligned to SASCOCs, SRSA and the zone four region programmes imperatives. The alignment was based on the fact that SRSA funding focused on the operation of SANABO and the entity in turn was encouraging its affiliates to align their programmes to the national, regional and local programme imperatives. For example if in one district there was a mass participation programme by regional government, SANABO was encouraging its local affiliates to be part of that programme. The Committee asked how far had the schools sport pilot gone and what had been the cost so far in the roll out? What type of equipment had SANABO given to school and at what amount? It also noted that there had previously been a dedicated Women’s desk at SANABO to promote female boxing before the new EXCO came in. was there still such a desk and who was responsible for it? What would SANABO change about the current boxing landscape if there were all the resources and the time to do so? What was AIBAs direct contribution to the development of open boxing in SA? SANABO replied that the pilot project for the schools had been introduced to the new EXCO in 2014 seeing that it had come in during 2013. The EXCO had only managed to service only six provinces and in 2015, SANABO envisaged servicing all the provinces in terms of equipment provision. Moreover in the National Schools Championship (NSC) which took place annually open boxing had not been included in 2014, but that would be rectified in 2015. However, Mr Mofu noted that though there was the NSC, SANABOs own national boxing championships which had the same age group cohort as that of the NSC and in that way the entity was servicing schools boxing though it club based in terms of SANABOs pathway. The kind of equipment supplied to schools was punching bags, gloves, coaching equipment, medical box that was used during boxing. The gloves and bags were of different sizes, but all that equipment had various sizes. Moreover the local boxing club in the vicinity of a targeted school was encouraged to work together after the delivery of the boxing equipment so as to exchange and share knowledge and skills. SANABO did not have a women’s desk but a women’s commission that dealt with all women’s boxing matters. If there was money and time for SANABO to thrive, SANABO said firstly it would employ the EXCO on a fulltime basis. Thereafter it would ensure that the provinces had fulltime personnel as well and similarly with the districts. By 2020 the EXCO would be certain that SANABO would be a going concern beyond its current status quo with a structure as efficient as SAFA, Cricket SA (CSA) and so forth seeing that they seemed to be running like well-resourced NFs. Most essentially the boxer would be his first client. On 2 May 2015 SANABO would be meeting its continental counterparts in Togo to discuss issues to do with how AIBA funding would be distributed across the continent as that financial assistance was guaranteed. The Chairperson welcomed all the members and outlined the agenda thereafter. She asked the Committee to adopt the agenda and to add any other point of business which possibly could be added, provided that the minutes would be considered after the engagement with the entity before the Committee. Ms B Abrahams (ANC) proposed that the agenda be adopted as it was. Ms D Bergman (DA) seconded the motion to adopt the agenda with the addition that the business of moving of equipment in Limpopo be added as extra matter to be considered seeing that the deadline to do so had come. Mr Andile Mofu, SANABO President, said though SANABO was a recently established entity that did not mean its executive Committee (EXCO) had no historical involvement in boxing before SANABO. He then introduced the delegation accompanying him. He apologised to the Committee for submitting somewhat scattered documentation and said the presentation however would try and include all of key points within those documents. Mr Mofu said SANABO was affiliated to the Association Internationale de Boxe Amateur (AIBA) which was the global body association overseeing SANABO. It was then affiliated to the African Boxing Confederation (AFBC) which ran the ZONE FOUR Boxing Championships where 14 of the Southern African Development Community (SADEC) region countries participated. SANABO national then oversaw nine SANABO provincial affiliates in SA. Following the provincial affiliates where districts which were followed by municipal boxing clubs. The entity wished to be a world and continental leader in open boxing and to enable the country to excel with medal winning success at the Olympics. He said since there were two boxing bodies in the country; one being Boxing SA (BSA) which was concerned with professional boxing and SANABO which people always knew SANABO as an amateur boxing entity: SANABO was no longer described as an amateur boxing entity but open boxing involved entity. The reason for that was that at the establishment of SANABO in 2013 its constitution had been approved by AIBA, which had in turn deleted the name amateur from the SANABO acronym because it generally meant that the operations of SANABO were done unprofessionally. That had also meant that SANABO boxing became Olympic style boxing. The International Olympic Committee (IOC) had in turn approached AIBA that use of the term Olympic had royalties that needed to be paid over to the IOC. Those were the main reason amateur boxing had become open boxing. The age groups categories included in open boxing competitions started from age 12 to 40 years, which really spoke to the inclusivity and openness of open boxing. Mr Mofu said SANABO boxers had participated in the 2014 Youth Games held in March in Algeria. In April boxers had partaken in the zonal championships and in May the Association of National Olympic Committees of Africa (ANOCA) games in Botswana. He counted all the events where SANABO had sent teams for the year 2014. SA had as of 2014 became the ZONE FOUR Boxing Champions. In the 5th Africa Cup held in East London 2014, the country had come out ranked number two in the whole of Africa. From the six boys that SANABO prepared, only Tulani Mbenge had returned with a bronze medal at the Commonwealth Games in Glasgow 2014. Mr Mofu detailed the six strategic objectives of Sports and Recreation South Africa (SRSA). He said for SRSA to achieve its outlined goals it had to also work with SANABO as it was working with all other stakeholders. The role of SRSA and the mandate it gave the South African Sports Confederation and Olympic Committee (SASCOC) needed to be strengthened with better clarification of roles and responsibility and strict adherence to said roles. All National Federations (NFs) in receipt of funding were expected to operate in a democratic and transparent manner and effective governance placed greater demand upon SANABOs EXCO in helping it obtain and meeting the needs of stakeholders. He then read a section of SANABOs constitution which was aligned to the constitution of SA, SASCOC as well as that of AIBA. The previous EXCO had been in office for more than the four years which the new constitution of SANABO required. In 2012 SANABO had its first election as many of its provincial, district and municipal affiliates had shown dissatisfaction with the previous operations of SANABO. Following the results of that election certain members within SANABO which were not satisfied with the results made working so impossible that SANABO had been suspended for approximately eight months by AIBA. That had resulted in SANABO only participating in the zonal championships in 2013. Following that AIBA suspended SANABO citing external interference from the state and SASCOC, though SASCOC was trying to assist in resolving the impasse between those that were not satisfied with the election of the new EXCO and SANABO itself. An interim Committee of SANABO had called the old EXCO to a meeting where a resolution had been reached that new elections be held on the 30 November 2013. Following that the new structure had been accepted by SRSA, AIBA and SASCOC and SANABO was then established in the same year. Mr Mofu took the Committee the introductory statements of the corporate governance strategy document. Mr Mofu said the operation road map spoke to the structure of SANABO from the management Committee organogram all the way down to the commissions. Included therein were also the entity’s constitution as well as all AIBA statutes and bylaws. SANABO had to have the commissions as stipulated by AIBA and he enumerated the different categories of commissions. The current EXCO envisaged that by the end of its term in 2016, it wanted to exit leaving SANABO as a going concern. To that extent the EXCO was currently hosting an annual President’s council meeting where all the provincial affiliate Presidents converged for an extended EXCO meeting. Beyond that SANABO envisaged having a structure similar to that shown below the above heading. Child Protection Officer’s (CPOs) were part of the envisaged and current operational structure of SANABO at club level because the entity had found that individuals working with children were not all equally equipped to work with children both emotionally and physically in terms of health issues. Mr Mofu noted that up until that time SANABO had not contracted a full time staffs compliment so much so that the entire EXCO were volunteers that had alternate 9 to 5 employment. He said SANABO had seen growth in the areas of referring, judging, coaching, clubs and boxers over the years. The entity envisaged having some of its retired boxers becoming coaches, judges and any other support role in the development of open boxing. He then elaborated on SANABOs development pillars and how the entity envisaged continuing to attract investment into growing open boxing in SA. Mr Mofu then spoke directly to the headline targets as outlined. He said facilities development was a sore point for SANABO because comparing SA to other open boxing countries. Kazakhstan had recently established a World top Class Academy which was attracting a lot of open boxing champions. Countries like Cuba were no longer number one globally, in the development of open boxing as a result of that academy and all other eastern bloc countries of Europe, since they were putting a lot more investment into infrastructure development for open boxing. In terms of women development in open boxing SANABO had put a lot of effort in that commission in 2014 though it had not been enough. In that regard, SANABO hosted five national championships in total where women had a single separate championship annually. Over and above that women participated across the board in the other four championships. Regarding marketing and branding SANABO acknowledged that its main funder was SRSA but that the entity had started exploring alternative means of branding SANABO where it had managed to get a broadcaster on board as a partner. As of September 2015, there would be broadcasts of SANABO tournaments. Speaking on school sport, Mr Mofu reminded the Committee that boxing in the past had been a part of the sports codes offering at schools. Its benefits were that it promoted discipline, integration and respect. Moreover it encouraged anti-bullying messages whilst it also assisted in combating obesity. In 2014 SANABO had introduced the Unisex schools boxing championship for the age category 12-14 years, with participants from all provinces, districts and municipalities. SANABO was currently negotiating with Botswana to host an international tournament for the same age group cohort. The entity envisaged returning boxing to the sport codes offering in schools as well as part of the extracurricular activities, whilst also linking schools with external boxing clubs. SANABO had identified schools in all provinces where as of last year five schools had been targeted in each province where a workshop had been organised for all teachers in those schools busy with sport. That capacitating of teachers with the skills to train boxers accordingly would be further extended in 2015 by the supply of boxing equipment from SANABO in collaboration with SRSA. To that extent R800 000 had been set aside to annually deliver that equipment programme to five new schools from each province annually. SANABO had appealed to its affiliates to prioritise schools in the rural areas for that equipment programme. Where transformation was concerned: SANABOs opening boxing strategy related to local, provincial and national government strategies and policies. SANABOs four year strategy was aligned to SASCOCs, SRSA and the zone four region programmes imperatives. The alignment was based on the fact that SRSA funding focused on the operation of SANABO and the entity in turn was encouraging its affiliates to align their programmes to the national, regional and local programme imperatives. For example if in one district there was a mass participation programme by regional government, SANABO was encouraging its local affiliates to be part of that programme. The entity had 506 affiliate boxing clubs in total as of November 2014. Mr Mofu then read through the rest of the data sheet. Mr Mofu said SANABO had no financial sponsor because sponsors believed there was more return on investment in professional boxing since there was more media exposure therein. He said SRSA did provide limited financial support but the amounts were received too late so that they could be used by the end of the financial year. That was a recurring phenomenon and though SANABO was not entirely lamenting such, it was still grateful for that allocation as it was able to meet some of its commitments. SANABO lamented the discrepancy in funding between itself and BSA though it was not blaming BSA, but BSA had the advantage of working with fully developed athletes which SANABO had developed. An example was Tulani Mbenge who had recently turned professional after returning from the commonwealth games in 2014. Certainly SANABO was not blocking the advancement of athletes but it was problematic that even provincially, promoters received large amounts of monies when athletes moved from SANABO to BSA. From 2012/13 SANABO had received R 1 692 046 from SRSA which had increased to R 1, 8 million in 2013/14 financial years. Mr Mofu said the SRSA grant was split into a guaranteed tear as well as a conditional tear where the guaranteed tear was used for SANABOs operational costs. So that the conditional tear went to good governance, transformation, performance and meeting the criteria of prioritised NFs and the alignment to the National Sports and Recreation Plan (NSRP). The new EXCO had inherited challenges from the previous EXCO concerning the National Lotteries Board (NLB) funding towards SANABO. The new EXCO had however, managed to compile, consolidate and submit all the outstanding reports that the NLB required from SANABO. Moreover the entity had submitted its new application and was awaiting the NLBs response. Ms Abrahams asked what SANABO’s definition of ‘African’ was? Where the coaches the only personnel being paid as indicated in the financial statements? How many venues had been actually hired seeing that R 544 108 had been used for that purpose? Who received the Honoraria? Did the affiliates not pay subscription fees? How far had the schools sport pilot gone and what had been the cost so far in the roll out? Which provinces had been reached with what lessons had been learnt so far and when would the full project be rolled out? Mr Bergman said volunteer work was the best model for an EXCO Committee since it exhibited the passion needed from administrators to run and develop sports. It certainly was a shame that one could not remunerate good work, but sometimes he felt that a lot of the states entities paid a lot of remuneration without getting any return. He was concerned though that the SANABO and BSA situation was similar to the Premier Soccer League (PSL) and the South African Football Association (SAFA) where the latter developed soccer stars and the former simply professionalised them. The sustainability of the model had to be addressed in the sense that one had to ask how committed the SANABO volunteers would remain if they kept being ignored when asking for assistance when it was SANABO doing the development. Moreover SANABO did not to spend so much of its budget in getting schools to do their job, which was to get children participating in boxing. He maintained that his refrain in the Committee was always that SRSA and its entities had to be a support structure in terms of supplying trained coaches, facilities and equipment to a school system that had gotten children participating already, without SRSA having to lead. In the EXCO summary of the SANABOs business plan, Mr Bergman said he picked up on some bitterness from the entity between itself, SASCOC and SRSA. Where were the issues in that relationship and how could the Committee assist? He also noted that there had previously been a dedicated Women’s desk at SANABO to promote female boxing before the new EXCO came in. was there still such a desk and who was responsible for it? In terms of the AIBA WORLD YOUTH BOXING CHAMPIONSHIPS how much input did SASCOC have in trying to facilitate better planned training camps, accommodation and general preparation for the team. Mr S Malatsi (DA) was interested in the non-existent boxing programmes in schools and why it had taken until recently for SANABO to intervene therein. That school sport programme was also silent on institutions of higher learning and how boxing was being encouraged there and whether it was being offered at all. He asked how SANABO viewed its success in terms of preparing and taking boxers to the Commonwealth because in the SANABO business plan the Open Boxing Stakeholder Matrix had over 2000 amateur boxers across the country which a number quite different from the number of boxing athletes that had actually gone on to the commonwealth. The fact that only one medal had been achieved had to be seen in the light of whether; it was a fair representation of the country’s preparation for the said games. Could SANABO speak to the size of teams that it had sent to international competitions between 2012 and 2013 and what the outcome had been, seeing that expenditure had moved from R 1 756 in 2012 to R 119 750 in 2013. Could SANABO do the same for the travelling costs for local trips seeing that there was such a huge difference in the amounts as stated in the financial statements? He had found it interesting that SANABO lamented that SASCOC developed and trained young athletes but when they turned professional SANABO was not even mentioned. He therefore wanted to know whether that was not SASCOCs role anyway. Was it not better to actually look at harmonising the movement of athletes from SANABO to BSA and getting synergy there as Mr Malatsi did not believe that aspirant professional athletes wanted to remain amateurs, though he stood to be corrected? What would SANABO change about the current boxing landscape if there were all the resources and the time to do so? Was it time to possibly change the entity’s mandate or to review the constitutional provisions of SANABO in relation to SASCOC, BSA and SRSA? Mr S Mmusi (ANC) asked for clarity on the difference between amateur and open boxing as the presentation had confused him greatly because his understating of amateur was that of an individual novice boxer and nothing to do with whether the type of boxing was professional and legal. What type of equipment had SANABO given to school and at what amount? If SANABO was concerned with boxers becoming professional too early, since being affiliated to AIBA what was that global body’s stance on such matters. Could SANABO not reach an agreement with BSA and so as to harmonise the transition of a boxer between the two entities. Seeing that not all districts and municipalities had SANABO affiliation how did the entity plan to intervene in such situations. Ms Manana asked a similar question to Mr Mmusi, noting however that the Mpumalanga affiliates had been suspended for eight months between 2012 and 2013 from AIBA due to the ethics code violations. She said the Mpumalanga Boxing Organisation (MBO) and the ABC Boxing Academy clash was adversely affecting boxing participation in that province. As far as she was aware Mr Paul Tsehla, one of the owners of ABC had not received his boxing license but ABC was hosting boxing tournaments and receiving funding, whilst Mr Lance Gibson, President of MBO which held a licence to host tournaments and also was developing the top five boxers in the province without funding from the province. She also wanted SANABO to speak to its relationship with SASCOC. What were the constitutional matters that had been reviewed in September 2014, which had been problematic at the approval of the current constitution in November 2013 and what were the timeframes for that review to be concluded? Mr S Ralegoma (ANC) noted that the tension between SANABO and BSA was as historical as far as when boxing was still broadcasted. That tension originated with the international bodies which the two entities affiliated with and probably that was why the tension would remain in future. Possibly another boxing indaba would be needed so that SA could also start to influence the global boxing bodies rather than always the other way round. Was SANABO satisfied that provincial affiliate structures had been properly established and whether there was growth in open boxing? How was SANABO planning to grow and develop its brand without having dedicated and employed personnel? Who had been responsible for Tulani Mbenge’s remuneration seeing that recent media headlines had been that SASCOC wanted to be repaid monies said to be boxers’ stipends. What was AIBAs direct contribution to the development of open boxing in SA? SANABO had not said anything about aligning its policies to the NSRP imperatives though all other NFs were doing so. Mr Mmusi was concerned that SANABO should not view the Committee as one of those groups which was there to discourage all that the entity was doing because he concurred that R 1, 8 million was really a pittance in running the operations of an organisation such as SANABO. Therefore he was pleading with the Committee to also put pressure on the NLB to fast track the SANABO application and respond. 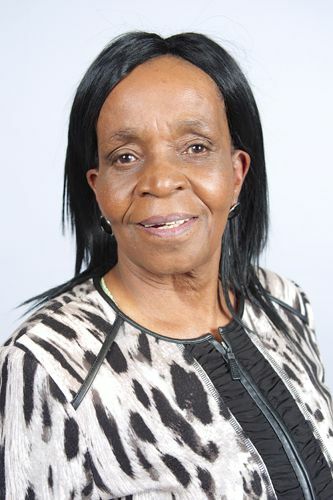 The Chairperson said she was disappointed in hearing about the dissolution of the Women’s desk, through the resignation of its staff at SANABO. Certainly the Committee wished for SANABO to get assistance from NLB so that it could reach those rural boxers it envisaged reaching. It was concerning that there seemed to that tension between BSA and SANABO which had created the situation in Mpumalanga where there were two parallel structures which had received licenses, one from BSA and the other from SANABO. Could SANABO speak to that? The Committee was aware of the doping challenges with young athletes in school sport across the sporting codes. To that extent she had been mandated by the Committee to attend the South African Institute of Drug Free Sport (SAIDS) presentation in collaboration with the South African Police Service (SAPS) on drugs in sport. SAPS had lamented the fact that some school principals refused to allow them to search learners though there were schools with drug problems. Could SANABO also speak to that? The Chairperson had similar sentiments as Ms Abrahams concerning the schools pilot project, moreover she wanted to know when the remaining three provinces that had not been piloted on before, would be targeted for the pilot. What had been the outcomes of the open boxing indaba proposal which SANABO had discussed with the Director General (DG) of SRSA and when that open boxing indaba would be held. Mr Mofu said the process of restoring the status of SANABO was not going to be short and essentially accounting to the Committee would assist the EXCO in inspecting SANABO from the outside. SANABO did not define African any differently from the definition used by the Eminent Persons Group (EPG) on transformation which had been constituted by SRSA. When there was training for boxers, one was removing athletes from schools and also removing coaches away from their jobs. SANABO then gave coaches and athletes an ‘allowance’ and that was not full time salaries but only used during training camps. In terms of venues, when SANABO held provincial and national championships SANABO did at times assist with hiring of venues. Moreover in restoring the status of SANABO, visibility in all provinces was important. That in turn meant that venues for meetings also had to be hired out for SANABO business. In ensuring that the young participants performed at their best during competitions, one also ensured that the people one invited for meetings had the best of ‘comforts’. Honoraria were a matter that the current EXCO had removed from SANABOs new constitution because the previous EXCO had included it as a constitutional item whereby during the Annual General Meeting (AGM) and depending on the performance of SANABO during that year: the council would then award the EXCO certain monies for the work that they had done. Provinces, districts and municipalities did pay affiliation fees to SANABO and that was included under revenue. The pilot project for the schools had been introduced to the new EXCO in 2014 seeing that it had come in during 2013. The EXCO had only managed to service only six provinces and in 2015, SANABO envisaged servicing all the provinces in terms of equipment provision. Moreover in the National Schools Championship (NSC) which took place annually open boxing had not been included in 2014, but that would be rectified in 2015. However, Mr Mofu noted that though there was the NSC, SANABOs own national boxing championships which had the same age group cohort as that of the NSC and in that way the entity was servicing schools boxing though it club based in terms of SANABOs pathway. Indeed the EXCO appreciated Mr Bergman’s sentiments because it was taxing that the EXCO had 9 to 5 jobs and afterwards they would dedicate time to the business of SANABO as that ate into the EXCOs family time and other obligations. The relationship between SASCOC and SRSA in terms of clarified roles was that at times SANABO would receive development programmes from SRSA as well as from SASCOC. Sitting in between the two bigger structures; SANABO then could not differentiate as to whom to account to and which programmes to prioritise. With all that confusion SANABO was the entity that suffered most. SANABO understood SASCOC to be focused on high performance whereas the SRSA was targeting both development and high performance. For example SANABO currently had two boxers on Operation Excellence (OPEX) which was run by SASCOC. SANABO was measured both on development as well as performance meaning that the entity was expected to produce medals from both the Commonwealth as the Olympics by SRSA. Alternatively though, high performance was SASCOCs mandate and having two to three boxers on OPEX meant that SANABO had to carry the budget for all those boxers’ international participation but there were no such funds allocated for such events. The SRSA allocation was mainly for development programmes and not high performance. At higher learning institutions SANABO had two associate members: one was the South African National Defence Force (SANDF) and the other one was the University Sport South Africa (USSA). SANABO was busy developing resident judges, coaches and referees within these associate members. In terms of the preparation for the commonwealth SANABO had six boxers but the selection criteria set by SASCOC was such that in one event SANABO could only manage to send one or two boxers. For example when preparing a team to the Olympics the current criteria set by SASCOC was such that SANABO could simply close shop because their boxers had to qualify in the World Championships to qualify for the 2016 championships. AIBAs criteria though allowed SANABO boxers to qualify for 2016 Olympics through any continental tournament and that was a crux for SANABO. Moreover the Youth Commonwealth Games 2015 criteria which SASCOC had set were that SANABO could only send two boxers to that competition. The reason behind that was that there was not enough accommodation in Samoa. The travelling cost ballooning payments between 2012 and 2013 were largely as a result of the EXCOs campaign to restore SANABO to its former glory. To that extent SANABO was holding provincial meetings. The Presidents Council had also approved a roadshow that went to provinces to settle conflicts in provinces. SASCOC as an Olympic Committee member could not prepare boxers for professional boxing because of the rules, regulations and bylaws of AIBA. That was the original reason SANABO had been suspended by AIBA because of the interference by SASCOC. Although one wanted to see world champions emerging from SA, but as an Olympic code it was against the regulations of open boxing for SANABO to prepare boxers for professional boxing as a vision statement, even though that was what was actually happening. Between SANABO and BSA the Presidents of the two entities had had informal discussions in terms of normalising the relationships between the bodies. There had been a Memorandum of Understanding (MoU) between the two bodies before whereby the informal meeting of the current Presidents had to do with revisiting that MoU. SANABO had wanted to emphasise that before any boxer in SANABOs books could turn professional, BSA had to check with SANABO so that if it was alright to do so: what where the monies that had to be repaid in terms of reimbursing SANABO for the development work it would have done. In that MoU an amount approximating R250 000 was to be paid by the promoter to SANABO for its development work with the boxer. If there was money and time for SANABO to thrive, Mr Mofu said firstly he would employ the EXCO on a fulltime basis. Thereafter he would ensure that the provinces had fulltime personnel as well and similarly with the districts. By 2020 Mr Mofu would be certain that SANABO would be a going concern beyond its current status quo with a structure as efficient as SAFA, Cricket SA (CSA) and so forth seeing that they seemed to be running like well-resourced NFs. Most essentially the boxer would be his first client. On the 14 March 2015 the new constitution of SANABO would have been officially revised so that it spoke only about open boxing. The issue of boxers turning professional prematurely was that AIBA had developed two programmes. One was the World Series Boxing (WSB) and the AIBA Pro Boxing (APB). Additionally there were three categories: AIBA Open Boxing (AOB), WSB and APB. In SA SANABO was practising AOB in all its districts, provinces, national, zonal, Olympics and World Championships respectively. Mr Mofu said WSB was semi-professional boxing in the sense that SANABO would want to retain Tulani Mbenge as an AOB boxer because it would not be willing to let him become professional under BSA. So SANABO in future would have all three categories developed by AIBA. With WSB, two promoters with boxing franchises would have an intermediate that would be organising tournaments called the ‘boxing marketing arm’ (BMA). That was what made WSB semi-professional. A boxer competing in the WSB had to sign a contract with the BMA which guaranteed the boxer a stipend of $1500 per month as long as he/she remained contracted. When the same boxer won a match he/she would receive an additional $2000 bonus and if he/she lost they would still receive $500. Those boxers had their own qualification route to the Olympics; secondly only in July would SANABO know whether it could introduce WSB in the country. APB boxers also became contracted with full time salaries as long as they were contracted. APB boxers also could go to the Olympics. All of that was to ensure that SANABO could retain its boxers. Currently SANABO had an interim structure in the North West province since the entity had been trying to resolve the issues in that province since 2014. The challenges were one, to get someone from SRSA and also SASCOC to be on board in resolving the North West debacle. The Chairperson interjected as how was it challenging to get people from the two larger bodies to assist? Could Mr Mofu elaborate? Mr Mofu said SANABO had had numerous meetings with the North West where both SASCOC and SRSA representatives had been invited and to that date there had been no response from both structures. The Chairperson interjected again that Mr Mofu had to be honest as to what the actual problem was. Mr Mofu said in Mpumalanga for example the EXCO would be going there to intervene as per Ms Manana’s concern. Essentially, when SANABO called all stakeholders of that province to come to a meeting all were available. However, the same could not be said of the North West and no stakeholder ever gave reasons for why they were unavailable for a meeting. The trouble with Mpumalanga was that seemingly Paul Tsehla and Lance Gibson had personal clashes that were possibly making working together impossible however; Mr Mofu did not want to speculate further as the EXCO would be going to Mpumalanga to address the issues there. SASCOCs relationship with SANABO was amicable seeing that they had differences in selection criteria for competitions and because of the two SANABO boxers on the OPEX. In terms of SASCOC wanting reimbursement for Tulani Mbenge turning professional from himself; that had to do with development contractual issues between SASCOC and Tulani seeing that he had been on OPEX for a while before turning professional. SANABO was certainly not encouraging that conflict though it was not happy with Tulani turning professional without informing SANABO. The most important issues that had to be revised constitutionally were that seeing that AIBA kept revising and updating its statutes and bylaws SANABO had to keep abreast of such changes. SANABO had participated in the SRSA boxing indaba of 2013 however; the agenda for discussion had not been approved by AIBA as it involved only professional boxing. That was why SANABO had requested the DG to have a meeting wherein SANABO and SRSA would discuss the merits of an indaba concerned with open boxing, alternatively SANABO had pulled out of the 2013 indaba as a result of AIBAs request to do so. The value addition of AIBA to SANABO was that from the conference that AIBA had held in Korea in 2014 the global body had given monies to the AFBC which then decided how many slices from said monies each country could receive. Mr Malatsi said his follow up question was regarding SASCOCs selection criteria and what its expectations were: could SANABO clarify itself seeing that it had to comply with AIBA statutes as well as SASCOC since it contributed to the development of SANABOs athletes. How did SANABO balance those expectations between the global body and the local confederation? What proportionate amount did AIBA directly contribute to SANABO; what was the formula for distribution from the AFBC? He was still not clarified as to whether SASCOCs finance was just for participation in international competitions or for actual medals whereas AIBA was saying open boxers could qualify through continental championships. Did SASCOC only contribute monies for accommodation and travel during international competitions for only OPEX athletes, so that SANABO would then pay for athletes outside OPEX? The Chairperson asked whether SANABO could elaborate further on Tulani’s troubles with SASCOC. Mr Pieter Kruger, SANABO Vice-President replied that the women’s desk was actually just window dressing to be honest and no real women boxing matters were actually handled there. It was therefore of no utility according to SANABOs new constitution to continue with that desk. Mr Ralegoma noted that Mr Mofu had just confirmed that AIBA was turning professional as well and therefore the tension between SANABO and BSA would become worse as there would be further complications with so many professional boxing bodies. If AIBA had an alternative route to the Olympics there certainly would be problems; why could SANABO and BSA not carry the interests of SA to the global bodies they were affiliated to instead of the opposite. Moreover SA had to take a lead in transforming their conservative controlling bodies because they operated in a regressive manner as things were. Mr Teboho Thebehae, Committee Content Advisor, said he concurred with the Chairperson that SANABO should clarify the contractual challenges between Tulani and SASCOC so that the Committee would not remain mystified still and that NFs and SASCOC did not become hindrances to the development of athlete’s careers. Recently it had been reported that there had been a newly established women’s boxing arm launched in the Free State in 2014: with the dissolution of the SANABO women’s desk how did all that tie together? Mr Mofu replied that in 2015 January SASCOC had met with SANABO to discuss the selection criteria for both continental and global boxing competitions: what had been agreed to in the SANABO President’s council was that athletes qualifying for the Olympics must have participated in the AIBA World Championships. Boxers from SA going to the All Africa Games had to be the top three ranked boxers in the whole of Africa. Seeing that there were only two boxers for the youth commonwealth games in 2015, SANABO had influenced the selection criteria for the Commonwealth and the ANOCA games in 2014. SASCOCs selection criteria superseded that of AIBA and therefore for open boxers to qualify for the Olympics SANABO had to inform SASCOC of the status quo of their boxers and that they could qualify at the continental show pieces. SANABO had to plead with SASCOC on that basis because should three boxers qualify at the continental show piece in 2015, they were eligible to partake in the Olympics. On 2 May 2015 SANABO would be meeting its continental counterparts in Togo to discuss issues to do with how that AIBA funding would be distributed across the continent as that financial assistance was guaranteed. In terms of travelling costs for open boxers; the two boxers with their coaches which were on OPEX were all funded by SASCOC. SANABO carried the costs of all other boxers apart from those on OPEX when it had to organise a training camp. Mr Tulani’s challenges were that SANABO did not have a constitutional right to stop him from becoming a professional boxer. If there were resources to contract Tulani, SANABO would do so in terms of saying that it would be developing his talent up until 2016 so that if his needs were beyond the money SANABO was giving him then an alternative would be sought. Contractually, Tulani being on OPEX was an arrangement saying that SASCOC would be remunerating him for a set period, but the finer details of that were not really known to Mr Mofu. Currently as Mr Kruger had alluded to SANABO did not have a women’s desk but a women’s commission that dealt with all women’s boxing. The Chairperson thanked the SANABO delegation for making time for the Committee. The Chairperson said the only matter arising was that the Management Committee (MANCO) would be meeting to discuss the report on the study tour to Limpopo. She would also report on her trip to the Eastern Cape (EC). Mr Malatsi moved to adopt the minutes as they were. Ms Manana seconded the motion. Mr Malatsi was concerned about the administrative process of receiving hard copy documents from entities on time, which was at least a week before the actual briefing so that they could assist members’ preparation. The Chairperson concurred with Mr Malatsi and noted that her office and the staff had raised the matter with all planned presentations and she would continue to emphasise the matter as the Committee was really committed to working. The MANCO had met and the discussion had touched on the Safety at Sports and Recreational Events Act (Sasrea) Appeal Board interviews but the Chairperson had not managed process all the documentation needed to complete that matter. The MANCO had also discussed the proposed return oversight trip to Limpopo for both the handing over of sports kit and had resolved that members should take their proportional representation as a tool to decide who would be going on that trip. However, she was very adamant that political parties with members not attending meetings regularly could not be prioritised over regular attendees. On her visit to the EC to hand over kit the event had been very successful though the programme had been quite lengthy and she had not been informed that she would be speaking. She also relayed the Minister’s response and invite to members concerning the handover of a sport facility in the EC. Mr Thebehae said the handover for the Limpopo attire had been identified for the 26&27 of March 2015 seeing that there was no oversight on the Parliamentary calendar on those days. Moreover seeing that there was some budget for that very same trip, the MANCO had then decided to invite more members to come along and confirm their availability so that the staff could do the application with confirmed details for everyone. Mr Malatsi asked for clarity on the interviews which the Chairperson had referred to. Mr Ralegoma responded that the interviews were for the Sasrea Appeal board so that members could also be notified should there be a need for them to sit in on the interviews. The Chairperson elaborated saying that the vetting process of applicants was the delay in those interviews. Mr Bergman said some of the innovation in planning for oversight with tight budgets was for example, in terms of the study tour overseas he reminded the Committee of his recent suggestion of travelling to a destination that would be less costly to get to. He suggested that the Committee should write to the Sport Member of the Executive Council (MEC) in Limpopo first to find out how far programmes had been rolled out because he was interested to see the rest of SA and what SRSA was doing in other provinces. For future oversight he was willing to use his entitlements as a budget saving tool to get to oversights and that if SRSA was spending about R60 million for the NSC, the Committee had to oversee such events. The Chairperson acknowledged Mr Bergman’s suggestions but the Committee’s change of mind on what tours and to where also possibly confused the staff. Certainly the Committee had to prioritise SRSA events as the department’s calendar was known. The Committee had to return to Limpopo because it had promised that constituency. Moreover surprise visits to schools were a norm in Parliament so the Committee could certainly do that for schools in the Western Cape (WC). She then argued with the staff and the Committee over the matter of proportional representation being used for deciding which political party members could go to oversight, reiterating that attendance had to be used instead. Mr Malatsi said seeing that there was motivation that the Chairperson could outline in a letter to the House Chairperson for inclusion of members based on attendance then she certainly could use that route so that the proportional representation also still remained in use since that was law. The Chairperson said she certainly would follow both routes as she felt very strongly about the matter. She then noted Members’ apologies.